Big Brother 19 spoilers tease the early week 3 Power of Veto competition caused drama which sealed Dominique Cooper’s fate in the house as the next person to be evicted. After Jason Dent won the week 3 POV, he immediately said that he was going to save Jessica Graf, which put Alex Ow, current HOH, in a tough spot. Now, she must figure out who to put up as a replacement nominee. 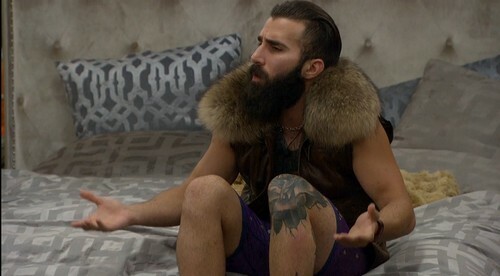 Paul Abrahamian had an idea, Alex should put Mark Jansen on the block in Jessica’s place as a pawn. Big Brother 19 spoilers revealed that Alex wasn’t comfortable with that idea. She worried that the house would vote him out instead of Dominique. Flashback to 1:00 a.m., Dominique quizzed Christmas Abbott about her loyalty. She questioned whether she had betrayed her and wondered if she would in the future. Of course, Christmas told her that she has not and would not betray her in any way. Dominique didn’t look convinced. Big Brother 19 spoilers state that Paul isn’t sure who Alex plans to put up on the block. He tells Matt Clines and Raven Walton that one of them could go up on the block. Paul promises if either one of them goes up, he will do his best to keep them safe and vote Dominque out of the game. 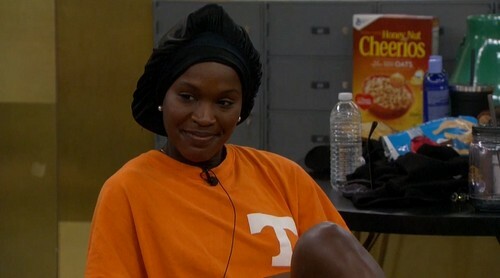 In a conversation with Kevin Schlehuber, Dominique said that she believes the reason she is being voted off is her talk show with Cody Nickson and her “hinky” vote against Ramses. She believes that it is a “personal attack” against her. Dominique believes that it doesn’t matter who she is sitting next to – she will go home on Thursday. Flashback to 2:15 a.m., Mark tried to protect Dominique by saying that she is not a threat to anyone. Alex promises Mark that if he goes on the block, he would be completely safe. Mark stated that he doesn’t feel safe as a pawn because he thinks Matt would try to get him voted out. Paul and Jason swear that they would never vote him out. Mark finally admits that he doesn’t see a way to save Dominique. Big Brother 19 spoilers reveal that Alex said it’s nothing personal but a group effort because her talk show upset the house. Elena arrives and doesn’t like the idea of Mark going up. Jason suggests (again) that they put Raven on the block. Alex refuses to nominate Raven and tells Jason to stop pushing her as an option. Flashback to 6:00 a.m., Dominque enters the HOH room and starts to argue with Paul. Big Brother 19 spoilers state that Paul doesn’t like that Dominique is calling him out on “things” when she doesn’t know what is really going on. Dominique calls Paul an “infiltrator” and warns the house to watch out for him. The house called it a night, but everyone seemed annoyed with Dominique. She refused to give names to back up any of her claims. Earlier, Paul mentioned how Christmas told him that she was in quite a bit of pain. Big Brother 19 spoilers suggest that production may decide to remove her. He adds that Christmas should have left the game because she cannot compete. Will Paul try to get Alex to nominate Christmas to send her home so she can recuperate from her surgery? At this point, it’s hard to say who they will put on the block when Jason saves Jessica. It looks like Mark Jansen will go up, but in the game of BB19, you must expect the unexpected. Who do you think should go up in Jessica place? Don’t forget to come back to CDL for more Big Brother 19 spoilers, news, and live feed updates!